It took us twenty years to select the best vines of the Estate. And from a perfect combination of Garganega and Trebbiano di Soave was born… Ca’ Visco. Te wine is aged in steel and charmes with its aromatic nuances and initial softness, but finishes with a lively acidity. it is pleasantely surprising in its ability to evelve over the years. Exclusively from our hillside vineyards in Castelcerino, in the heart of the historic Soave Classico zone, which range between 650-1115 feet above sea level. The wine opens up with a rich array of aromas. Its mineral base releases citrus fruit notes of citron, pink grapefruit and tropical fruit too – white peach, elderflower and lime blossom. We harvest the Trebbiano di Soave during the first part of September, and the Garganega throughout October, entirely by hand. To obtain the finest grapes possible, we pass through each vineyard several times, each time selecting only the ripest bunches. The grapes are harvested into small, 44-lb capacity bins, ensuring the bunches arrive at the press perfectly intact. The Garganega and Trebbiano di Soave are fermented separately, keeping temperatures below 64°F to retain the finesse and attractive varietal character of the grapes. The wines are then matured, at temperatures below 61° F, in small stainless steel tanks. 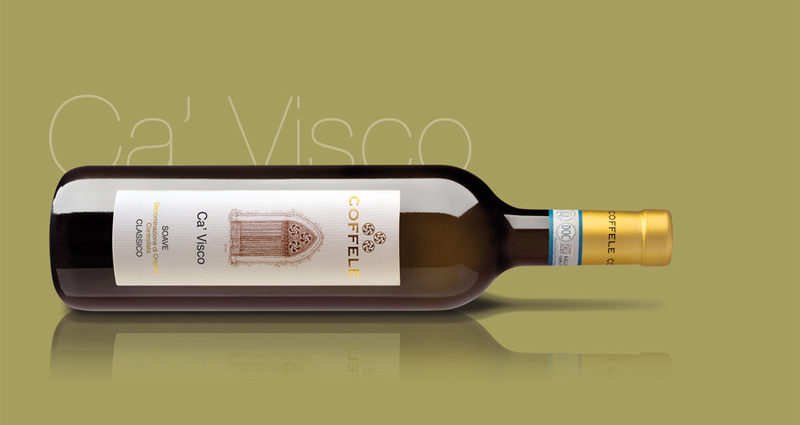 After maturation, we blend the two wines, and then “Ca’ Visco” spends about one month in bottle before being sold. During the process, the wine is racked only once and gently filtered. The wine opens up with a rich array of aromas – apple, pear, passion fruit, pink grapefruit, chamomile, and mint – and develops distinct peppery notes with a few minutes in the glass. The wine is dry, with an acidity that sneaks up on you, leaving your palate clean after the long, mouthfilling finish. Excellent with seafood and raw fish – try it with raw Dublin Bay prawn. Exquisite with delicate white meats, such as baked rabbit. 5,20 g/l of tartaric acid.